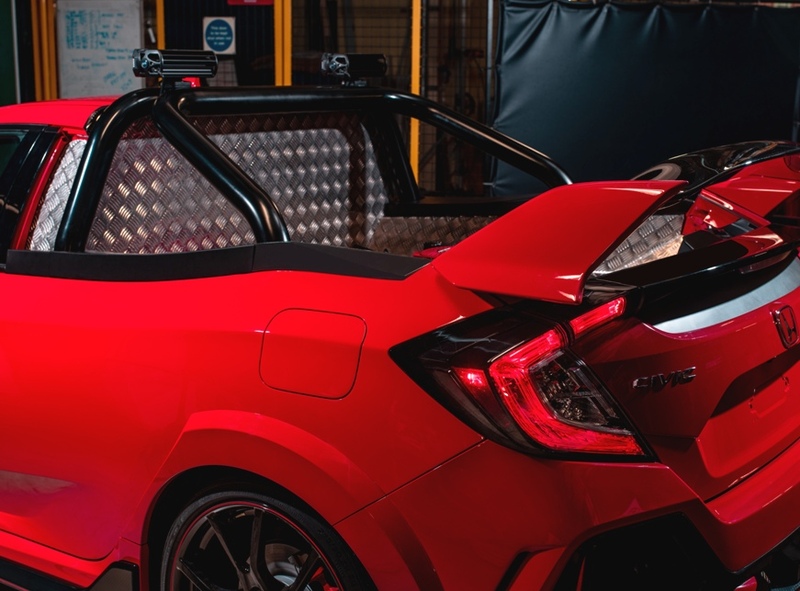 At the recent SMMT Test Day at MIRA, Honda UK took the wraps off its latest bout of automotive lunacy. 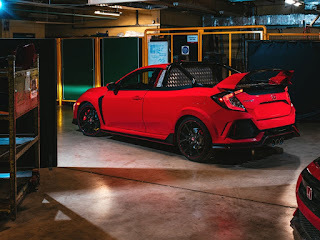 A few years back year we had Gordon Shedden driving/riding their 135mph lawnmower, but if it's not road legal how do you get it to the Park to cut grass? Easy put it in the back of a pickup. But not just any pickup. A bunch of highly intelligent 'eedjits' at the Honda Swindon manufacturing plant came up with the ideal wheeze. 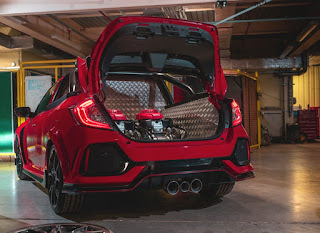 A pick-up built out of a Civic Type R! 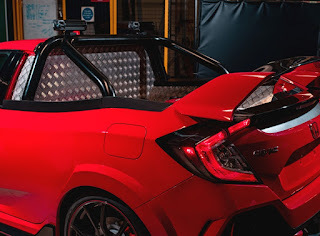 Unfortunately, or perhaps fortunately, the resultant vehicle is only a concept and Honda has no plans to put it into production. 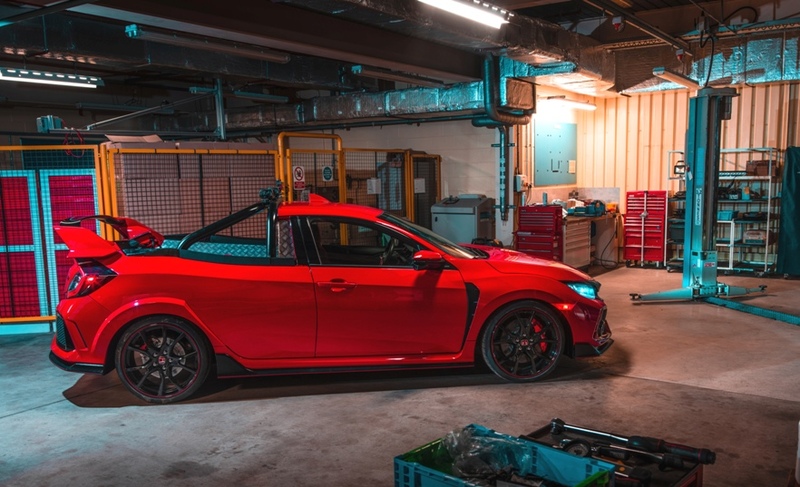 The two seater features a solid bulkhead and flat rear floor while retaining the iconic rear wing which, rather cleverly, is movable to allow direct and unfettered access to the rear of the truck. Using the same powertrain, suspension and gearbox as the standard road car, it is estimated that 'Project P' as it's called, will complete the 0-62mph sprint in under six seconds and reach a top speed of over 165mph. How stupid and pointless is that? Who cares. I want one.